If you’ve been diagnosed with this mysterious condition called SIBO (Small Intestinal Bacterial Overgrowth), you’re probably wondering how you got it. There are multiple contributing risk factors to look at here. Hydrochloric Acid (HCl) is the gastric juice made in the parietal cells of the stomach. It’s job is to acidify the stomach contents enough to where it triggers emptying into the small intestine for nutrient absorption and assimilation. It also activates an enzyme called pepsin to break down proteins from food. Many things can alter HCl production. When a patient has hypoglycemia (low blood sugar), insulin resistance (high blood sugar), Vitamin B or Zinc deficiency, food intolerance, gastrointestinal inflammation, gastrointestinal infections (parasites, Candida, bacteria), or they are hypothyroid, the body may have trouble making enough HCL. This condition is called Hypochlorhydria. The other very important issue here is that HCl acts as a first-line-of-defense against foreign invaders to the GI tract. We constantly ingest bacteria and parasites, but if our HCl is doing its job, the acidity should kill off any bugs that we come in contact with so they don’t make their way down into the small intestine. Consequently, when that fails, we are left wide open to bowel infection. One particularly virulent infection is from Helicobacter pylori. H. pylori is a bacteria that burrows into the stomach lining, degrading the parietal cells so that they can no longer do their job of making adequate HCl. It is highly recommended that this infection be dealt with promptly and thoroughly. 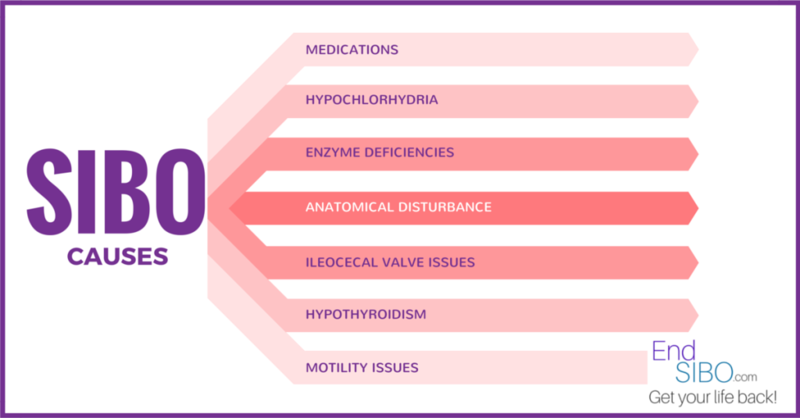 It should also be noted that in order to address the hypochlorhydria, you must determine and address its underlying cause as well. Then, it is recommended to support the system with proper HCL supplementation where appropriate. Proton Pump Inhibitors (PPIs) are medications commonly prescribed to inhibit HCl production. They are used for conditions like Esophageal Reflux, Gastritis, and ulcers. The concept is that HCl is very acidic and by blocking its production, the symptoms will subside. This is theoretically true, but when you consider the physiology of the gastrointestinal tract as a whole, what’s happening is that by inhibiting HCl production in the stomach you are actually disrupting digestion in the rest of the GI tract, leading to conditions like SIBO. Enzymes help break down your food for absorption and assimilation in the small intestine. Common enzymes include amylase (to break down starches), lipase (to break down fats), and protease (to break down proteins). There are many others, but you get the idea. When these are not being produced or secreted at proper times or in adequate quantities, the food begins to ferment (starches, sugars and carbohydrates), become rancid (fats), or putrefy (proteins). As these processes happen inside the intestine (especially the fermentation), gas if formed. Think of opening a bottle of champagne. . .the bubbles come from the fermentation of the sugar and yeast in the wine. A similar situation is going on inside the gut of a SIBO patient, creating tremendous gas and distention. 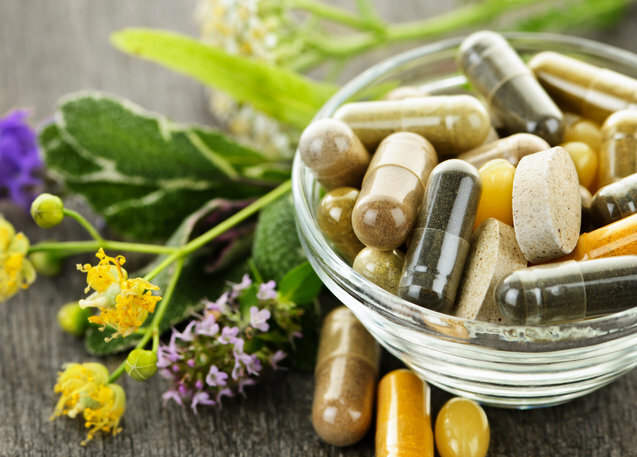 Proper supplementation with appropriate SIBO-specific enzyme blends may be effective and highly beneficial to addressing the deficiencies that contribute to the bloating. Please be aware that this is a tricky situation, as some proteolytic enzymes can literally digest a compromised intestinal border. For a more detailed discussion of supplements and enzymes, you may see my article on SIBO-Specific Supplements. Possibly due to chronic constipation or other causes, patients can develop fistulas or diverticula which are out-pouchings in the intestines that harbor bacteria. These, along with surgically altered anatomy can be contributing factors in the SIBO puzzle. The ileocecal valve separates the small and large intestines like a gate. Ideally, it should open on time so that the small intestine can dump its contents into the large intestine for elimination. This should be a one-way process where it then closes immediately after to limit reflux from the large intestine back into the small intestine. For more detail on the anatomy and physiology of the gastrointestinal system, please see my article What is SIBO? When the ileocecal valve malfunctions, it can either get stuck in an open or closed position. If stuck closed, it would make sense that the small intestinal contents may remain in the lumen longer than required, possibly furthering the fermentation process (although I have not read research to verify this). On the other hand, intestinal bloating can prop open the ileocecal valve for extended periods of time. When this occurs, a vicious cycle begins. When the ileocecal valve remains open, contents from the colon (which is naturally rich in bacteria) begin to translocate back up into the small intestine (which should be relatively sterile). This is a huge problem and contributing factor to SIBO. 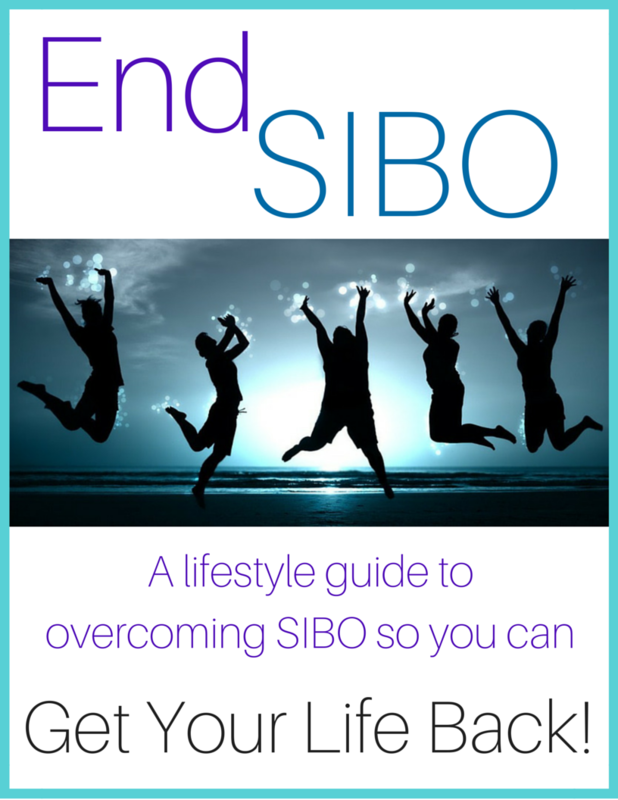 Again, I encourage the reader to review the article What is SIBO? where I go deeper into the anatomy and physiology of this part of the body as well as bacteria’s role in SIBO. Translation: When you are enzyme deficient or eat foods that cause bloating, your ileocecal valve is at risk of propping open for too long, allowing bacteria from the colon up into the small intestine where it should not be, resulting in a Small Intestinal Bacterial Overgrowth cycle. Natural health care practitioners who are schooled in ileocecal valve manipulation may be able to show you ways of gently assisting in the opening or closing of this valve. However, the bloating cycle must be stopped as well. Motility refers to the muscular contractions that coordinate mixing and movement of the intestinal contents. When motility is disrupted it can speed up movement along the GI tract resulting in diarrhea, or it can slow down movement resulting in constipation. Both are experienced in SIBO situations. Motility can be disrupted for multiple reasons including but not limited to gas formation in the intestines, brain or nervous system injury, physical alteration of the gastrointestinal anatomy ether by injury or surgery, neuro-degeneration (see below), and certain medications or street drugs that contain opiates. Neurodegeration refers to the progressive loss of neuron function. It is a combination of these two words: neuro (referring to the neurons or nerve cells in the brain) and degeneration (referring to progressive damage to said structures or functions). The brain and nervous system send signals to the gut through the Enteric Nervous System (a network of nerves controlling the gastrointestinal system). If there is disruption anywhere along the line, it would obviously affect some or all parts of the digestive process. One potential outcome would be the development of SIBO. Common causes include brain injury or inflammation, Parkinson’s disease, or it simply may be age-related in nature. I would consider this more of a risk factor than an actual cause, but if present, it helps determine prognosis. It also verifies for the patient the absolute necessity in eliminating all sources of gluten and gliadin (protein molecules found in grains). Celiac is an autoimmune condition where the body recognizes gluten as a foreign invader, thus attacking it along with the surrounding tissue in the intestines. This causes inflammation, destruction of the intestinal villi where nutrients are absorbed, and eventually scarring of the intestinal lining. Symptoms are very similar to SIBO, and frequently coexist. Complete and permanent elimination of all gluten sources is imperative. Please investigate this more on your own or consult a qualified health care practitioner for more information. Hypothyroidism is commonly associated with constipation. The reason behind this is that low thyroid hormone decreases activation of the Enteric Nervous System (see above) and also that of the vagus nerve. This decreases ileocecal valve control, slows gut motility leading to bacteriostasis in the small intestine and decreases the vagus nerve’s ability to trigger the release of HCl (see above). As discussed earlier, all three of these contributing factors themselves play a role in SIBO, but this combination can lead to an ever deeper cycle of dysfunction. Once the patient has SIBO, they can begin to have difficulty absorbing the limited thyroid hormone their body is producing, further perpetuating the cycle. This is not one of the more common risk causes but I thought I would include it as a differential. If the body is immunocompromised, it would be possible for bacteria to enter, inhabit and proliferate in the small intestine. These statements have not been evaluated by the Food and Drug Administration. These products and the information in this article are not intended to diagnose, treat, cure, or prevent any disease. These suggestions are not intended to replace medical care. They are to be considered support and an adjunct to medical care. Clin Gastroenterol Hepatol. 2013 May;11(5):483-490 Proton pump inhibitor use and the risk of small intestinal bacterial overgrowth: a meta-analysis. Curr Gastroenterol Rep. 2010 Dec;12(6):507-512 The aging colon: the role of enteric neurodegeneration in constipation. World J Gastroenterol. 2012 Dec 14;18(46):6801-6808 Ileocecal valve dysfunction in small intestinal bacterial overgrowth: a pilot study. Nutr Clin Pract. 2013 Jun;28(3):289-299. Diagnosis and management of small intestinal bacterial overgrowth.